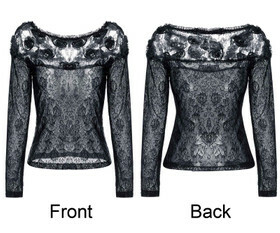 Longsleeve women's top by Dark In Love. 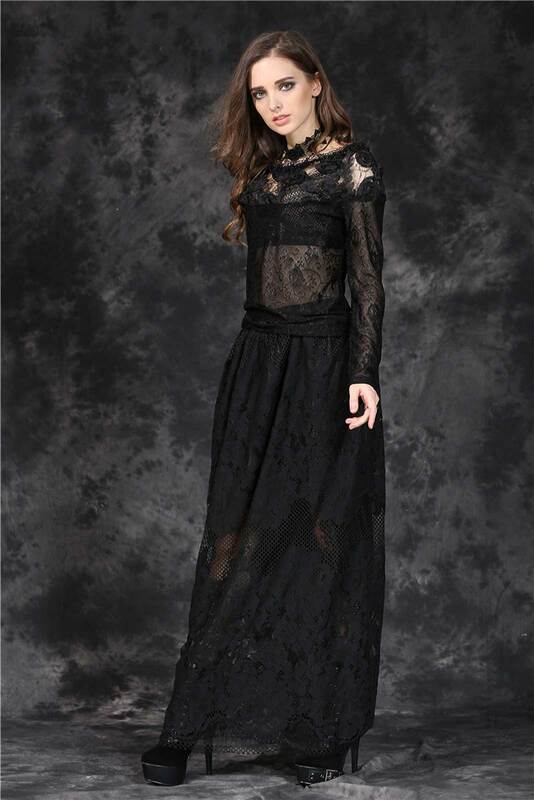 Completely made of see-through black lace. 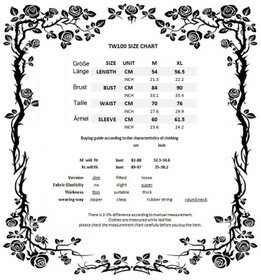 Neck and shoulders with light contrast and rosebuds. Slightly stretchy. 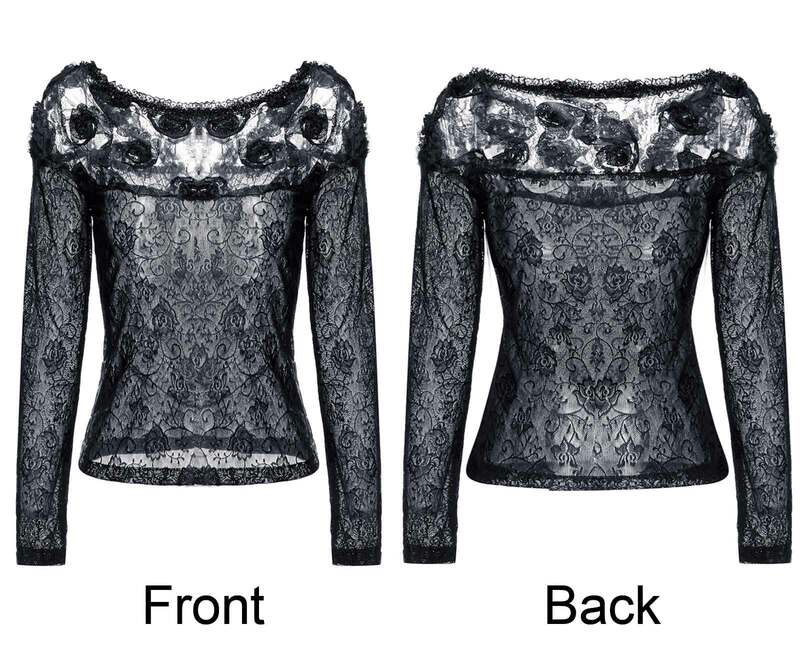 Longsleeve women's top by Dark In Love. 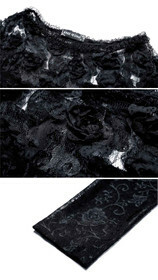 Completely made of see-through black lace. Neck and shoulders with light contrast, with 3-dimrnsional rosebuds. Tiny ruffled neckline. Slightly stretchy. 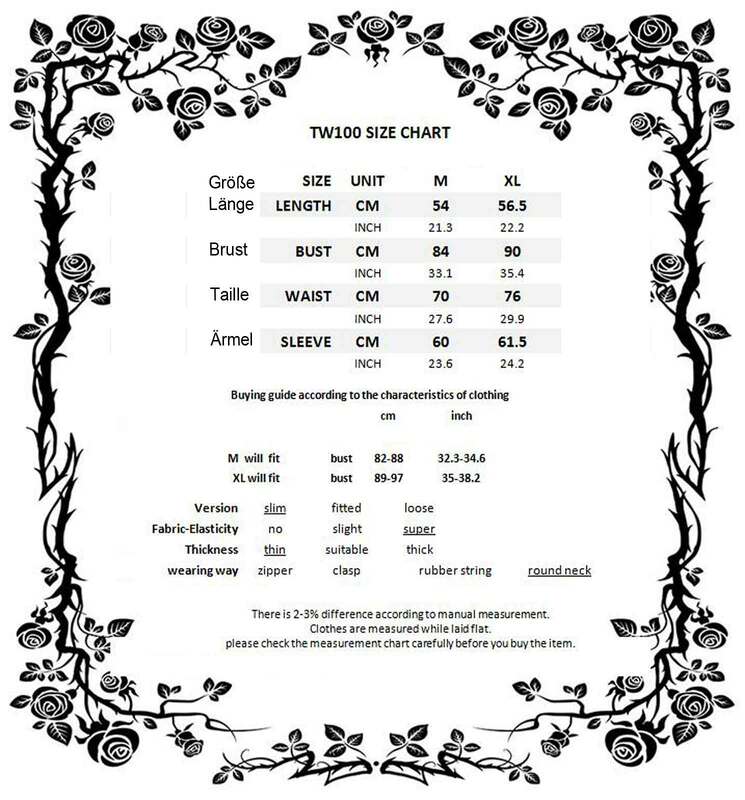 The fabric is elastic - size M fits S-M, XL fits L-XL.